Senator Tom Harkin (D-IA), who lied about his military service, blasted Senator John McCain (R-AZ), a former POW and war hero, today. Flopping Aces reported on Harkin’s attack on McCain and the military. Senator Harkin is one of several Democratic senators who protested his country at war in Vietnam and Iraq. 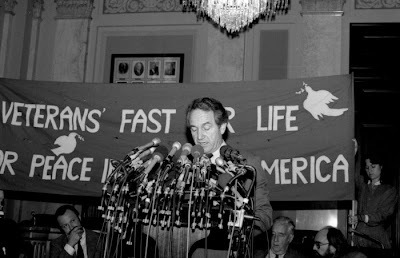 Antiwar website Ivan’s Place reported this on Senator Tom Harkin, D-Iowa– In 1970 Harkin was a congressional aide who helped expose the infamous “tiger cages,” tiny cubicles used to hold, entire Vietnamese families suspected of being Viet Cong sympathizers. Harkin still represents Iowa in the Senate. UPDATE: Glenn Reynolds wrote much more on Harkin back in 2004. UPDATE 2: The phony hero is a disgusting liar too.